Suji/rava ki barfi is very simple and quick to make. It is soft, moist and completely melts in your mouth with it’s first bite. 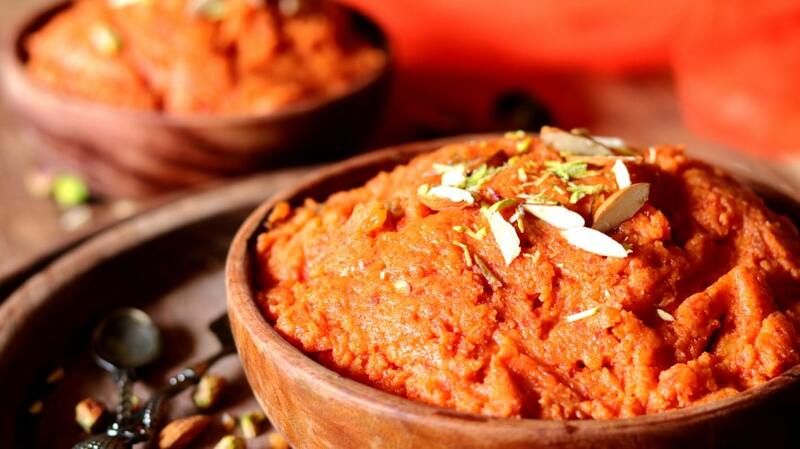 I often make this during navratri and specially when I have sudden guest at home. 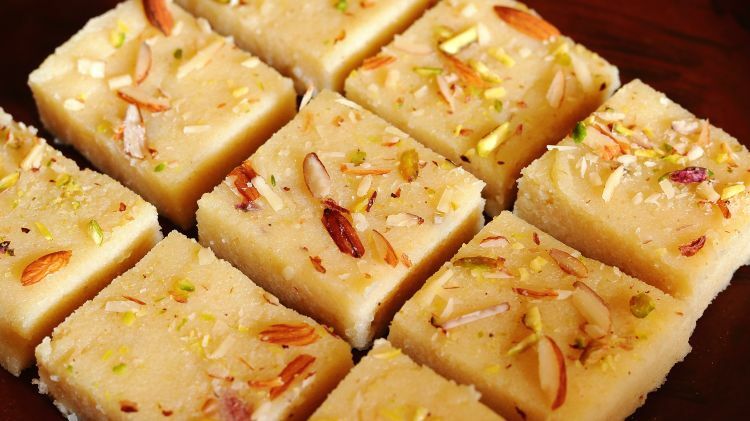 This rava barfi is not only delicious but also very appealing to the eyes. So try this quick and easy rava barfi recipe and show your culinary skills to your family and guests! In a heavy bottom pan add ghee and once it melts add rava/suji in it. Roast the rava on medium flame for 2-3 minutes. It will turn slight golden brown in colour and leave an aromatic smell. Switch off the flame and keep it aside. In another pan add milk and bring it to a boil. Add the roasted rava/suji in the milk and and while stirring it continuously cook for another 3-4 minutes on medium flame. Now add almond powder and cardamom powder and cook for 8-10 minutes. The suji barfi mixture will begin to thicken up. Now add sugar and while stirring it continuously, cook till the sugar melts completely. Add the cardamom powder and cook till the liquid is absorbed completely. It will start to separate from the pan and form a ball like structure. Now add a teaspoon of ghee and roast for couple of minutes. Take a plate/tray and grease it with ghee and pour the suji barfi mixture and spread it evenly. Garnish with chopped almonds and pistachios and press it with the back of a spoon or spatula. Let it rest for an hour or till it sets completely. Cut in square or desired shapes and serve. Store in an airtight container for upto 10 days in refrigerator. Use the fine rava for this recipe and not the thicker one. Make sure the milk is completely absorbed and the barfi mixture is thick before you set it in the tray. If you dont have almond powder you can replace it with coconut or cashew powder too. 1. In a pan add ghee and let it melt completely. 3. Roast the rava on medium flame for 2-3 minutes. It will turn slight golden brown in colour and leave an aromatic smell. Switch off the flame and keep it aside. 4. In a heavy bottom pan add milk. 6. Add the roasted suji/rava in it and cook for around 3-4 minutes. 8. Add cardamom powder. While stirring it continuously cook for 8-10 till the suji barfi mixture thickens. 9. The suji ki barfi mixture has thickened. 10. Now add sugar and cook till the sugar melts completely. 12. 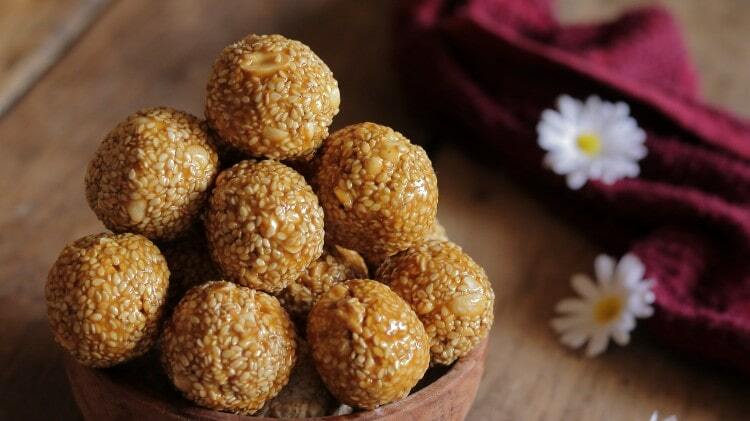 Cook the suji barfi mixture till the milk is absorbed completely. It will form into a ball like structure and separate from the pan. 13. Add ghee and cook for 2-3 minutes. 14. The suji ki barfi mixture is ready. 15. Pour the suji barfi mixture on a greased tray. 17. Garnish with chopped almonds and pistachios and press it with the back of a spoon or spatula. Let it rest for an hour or till it sets completely. 18. Cut in square or desired shapes and serve. 19. 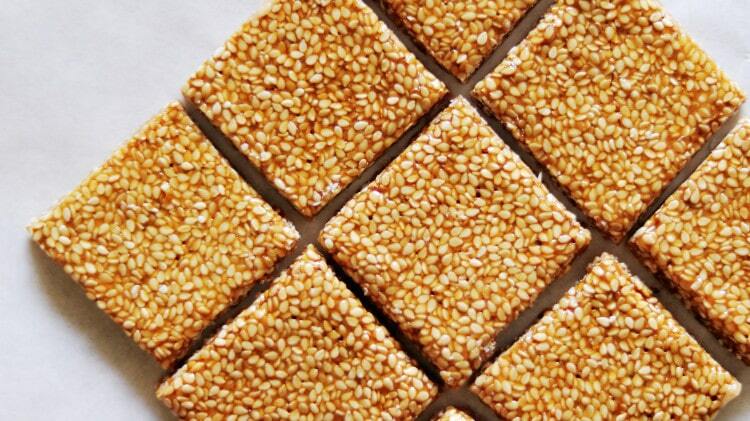 Store the suji barfi in an airtight container in the refrigerator for upto 10 days.